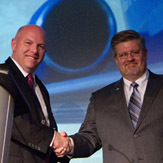 Bombardier today announced that it has entered into an agreement with training services provider FlightPath International (FPI) of Toronto for FPI to provide entitlement and recurrent technical training for Bombardier’s CRJ Series commercial aircraft and Challenger 800 Series business jets. Bombardier has delivered more than 1,600 CRJ Series aircraft (including corporate variants) to customers all over the world. Under the agreement, Bombardier and FPI will collaborate to identify and realize opportunities to enhance technical training solutions for Bombardier customers. FPI will provide instruction at Bombardier training facilities or at customers’ facilities, as required. FPI has been licensed to use Bombardier’s training methodology, courseware and tools, and the instructor-led classroom training will continue to be supported by desktop simulation, which introduces a fully functional simulated aircraft cockpit into the classroom environment. FPI provides training and operational services supporting CRJ Series jets, Dash 8/Q-Series aircraft and numerous other aircraft types. FPI offers full-service training programs in support of airline operations, including pilot training, maintenance training, ferry support, line indoctrination training, dispatch, and flight attendant qualification training. Courses may be custom tailored or developed to meet specific customer needs. FPI is dedicated to offering only the highest quality training tailored to meet the specific needs of the regional airline. FPI proudly serves the Bombardier family of aircraft and their operators. A world-leading manufacturer of innovative transportation solutions, from commercial aircraft and business jets to rail transportation equipment, systems and services, Bombardier Inc. is a global corporation headquartered in Canada. Its revenues for the fiscal year ended Jan. 31, 2011, were $17.7 billion US, and its shares are traded on the Toronto Stock Exchange (BBD). Bombardier is listed as an index component to the Dow Jones Sustainability World and North America indexes.